E in Color and VS in Clarity. Accent Diamond Measurements Two Trapezoid Cut Diamonds Measuring 6.88mm x 2.75mm x 2.60mm each. Categories: Engagement & Wedding | Raymond Lee Jewelers, Settings, With Accents. 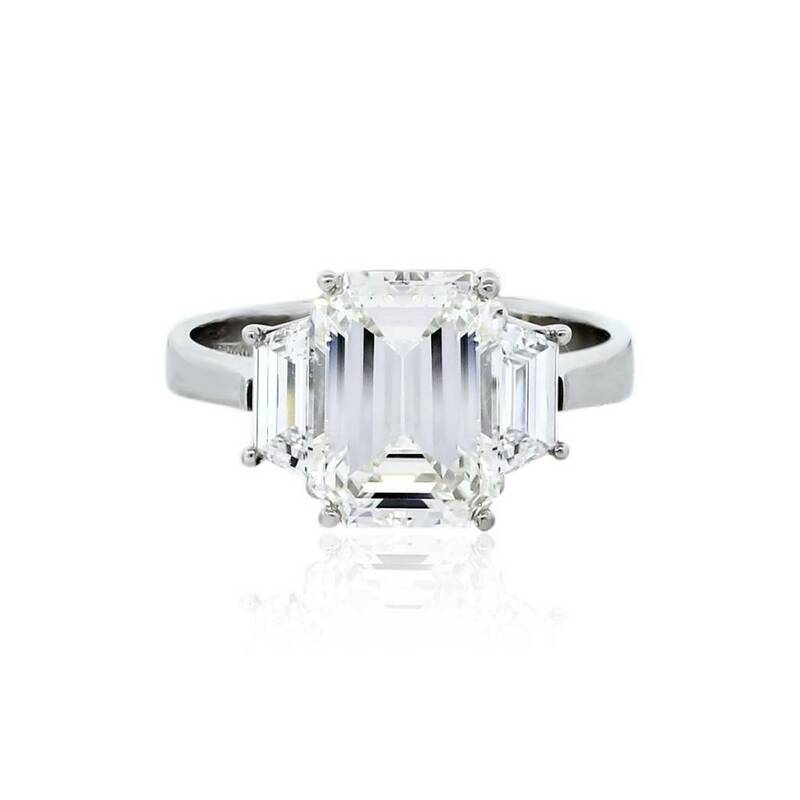 Tags: Emerald Cut, Engagement Ring, GIA certificate, Platinum, Ring, Three Stone Diamond Ring, Trapezoid Diamonds.